Estadio Azteca, MEXICO CITY. Two first half goals from Javier Hernandez (7′), and Nestor Araujo (44′) were all that was required as Mexico defeated Costa Rica 2-0. Mexico looked to get off to a positive start against the then-first place Ticos in front of their own fans. 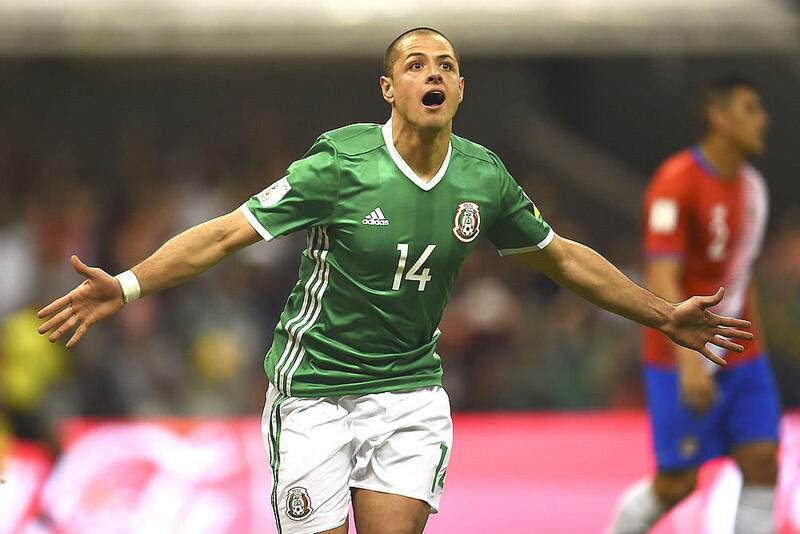 After struggling initially in figuring out how to deal with Costa Rica’s tight defensive blocks, Javier Hernandez opened the scoring for Mexico in the game’s seventh minute with a chip of Keylor Navas off of a diagonal ball from Carlos Vela. With the goal, ‘Chicharito’ tied Jared Borgetti atop Mexico’s all-time top scorer at 46 international goals. But Mexico and Costa Rica continued to struggle for chances, with Los Ticos forcing Guillermo Ochoa to diffuse a couple chances throughout the first half. 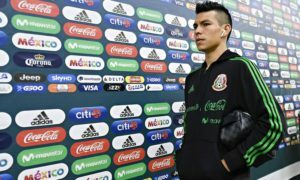 With one minute until half-time, Nestor Araujo finished off a corner kick from the right with a header that caught Keylor Navas flat-footed to take Mexico’s lead to 2-0. In the second half, chances came few and far between as both teams elected to play much more patient football. However, on a couple of occasions, Jurgen Damm had an opportunity to finish off the match and get Mexico’s third goal, but he was too tentative and not ruthless enough to do so. First, in the 64th minute, Damm was able to survive a Keylor Navas challenge down the right, but elected to play the ball back to the top of the penalty area, rather than attack the penalty area on his own and finish. Then, in the 86th minute, he is able to get around the aggressive Navas, but decides not to go for goal again despite having control of the ball. Raul Jimenez also came close to a second half goal in the 81st minute, but his low shot from outside the penalty area dribbled wide left of the target. The closest a player had come in the second half to scoring was Joel Campbell for Costa Rica in the third minute of second half stoppage time, but his curling shot found the crossbar. With the win, Mexico (2-1-0, 7 pts) moves into first place at the top of CONCACAF’s final round of qualification and passes Los Ticos (2-0-1, 6 pts), who move into second place. All was not necessarily good news for El Tri. A first-half challenge from Johan Venegas on ‘Chicharito’ in which took out Chicharito’s lower leg would eventually force the now tied all-time best scorer for El Tri. 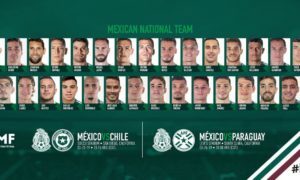 Mexico will look to pad their lead in the final phase of the tournament when they travel to Port of Spain on Trinidad and Tobago (1-0-2, 3 pts) on Tuesday, March 28. Costa Rica travels to the Estadio Francisco Morazan that same day to take on Honduras (1-0-2, 3 pts). 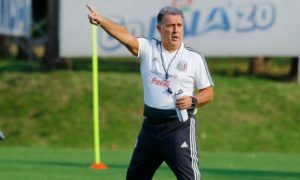 Does Juan Carlos Osorio Have the Mindset to be a Top Coach?